Georgina is a Tamworth local. She spent 13 years living and working in Sydney and travelling the world. 7 years ago Georgina decided it was time to move back to the country, which in turn brought her back to her beloved yoga practice. Georgina discovered yoga at 19 years of age and immediately fell in love with the power and beauty of this ancient practice - she knew she would one day share this practice with others. 5 years ago Georgina completed her 200 hour teacher training at The Absolute Yoga Academy with world renowned yoga teacher Michel Besnard. Georgina has also completed her Xen Strength Yoga with Weights Training and her Calm Birth Pre and Post Natal Training with the amazing Kylie Hennessey. Now with over 2200 hours of teaching experience, Georgina's passion about the numerous positive benefits that a regular yoga practice can have on your body and mind continues to grow. Georgina is dedicated to facilitating a class which allows students to feel safe, comfortable and connected to their bodies and minds. 11:11 Yoga has been created out of a love for what Georgina does, and her desire to share this transformative practice with others! Liz completed her 200 hr RYT training in 2014 at Byron Yoga Centre. She fell in love with yoga in 2001 when she was given the perfect gift of a beginners yoga DVD for Mother’s Day after the birth of her second daughter. The ideal outlet for a young mum with 2 beautiful girls in a town where post-natal yoga was not offered. 1 more precious girl added to the mix and tonne of life experience thrown in, over a decade later Liz found her regular practice. Diving a little deeper into yoga, Liz started teaching and realised her training was only just beginning. Pre and Post-natal yoga teacher training quickly followed, she attends workshops and retreats to broaden her knowledge. Liz loves a slow flow and long holds, grounding her, providing her space and time for herself. 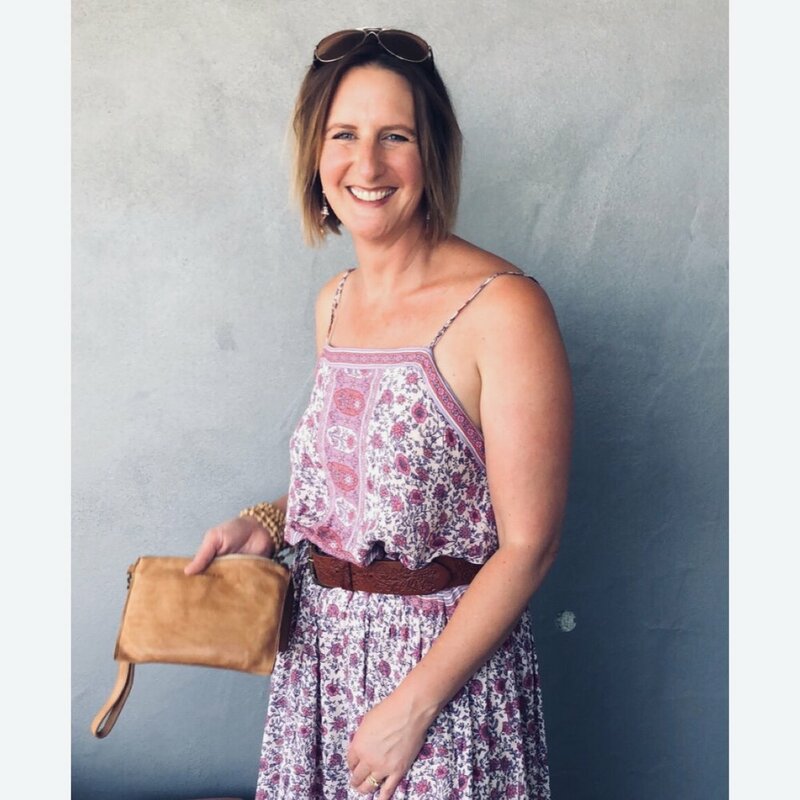 Liz’s aim in teaching is to provide time for relaxation and to take a little bit of peace from the class back to everyday life even if it’s just one full breath in the middle of a busy day.